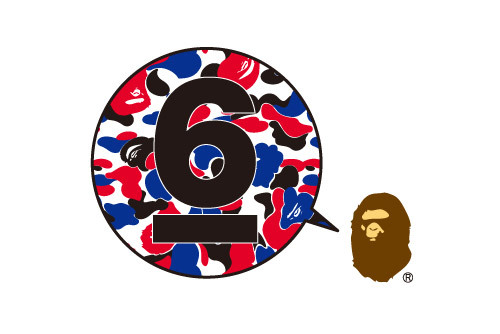 Celebrating its 6th anniversary, London’s Bape Store will begin the festivities on Monday, October 13th. Of course most base-level associations with Bape are for its iconic reproductions of camo and having said that are an anticipated special series of camo pieces that will release. Initial hints look to include designs inspired by the colors of the United Kingdom Union Jack flag with white, blue and red. Expect the same thing as always, a black and a white tee with a 6 on it. All yours for just £55 each!